The second Jaeger to receive the 18″ deluxe treatment, the massive mech Cherno Alpha features even more detail than its 7″ counterpart. 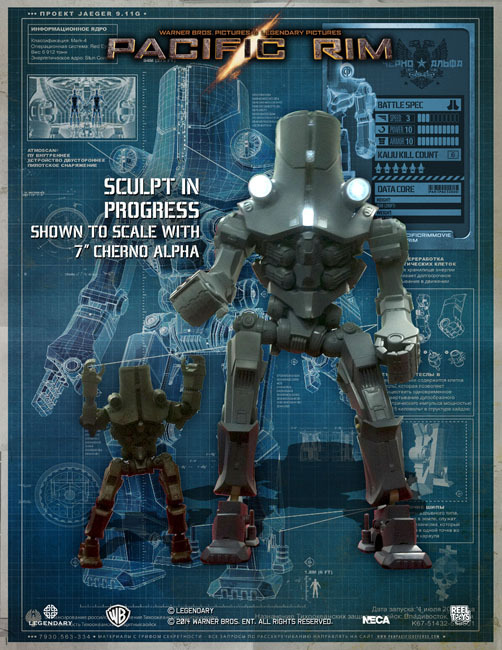 Created directly from the digital files used by ILM in the making of Pacific Rim, and then further detailed by our top sculptors and fabricators, Cherno looks just like it did on screen. Loaded with detail, realistic weathering, over 20 points of articulation and LED lights in the head to re-create the effects seen in the movie. It even features sliding fists! This figure is massive and can now join the fight to save humanity alongside 18″ Gipsy Danger.